Chocolate and mint is a classic combination and always popular in cake form. It's also a delicious combination in a creamy dessert pot. 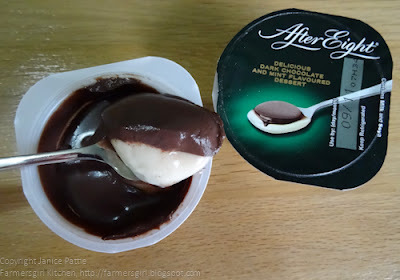 I was sent some of these After Eight dessert pots to review, little pots with a layer of chocolate mousse and a layer of creamy mint fondant and they taste just like your favourite After Eight, after dinner mints. The pots are not too big and not too sweet either, in fact they are only125 calories per 70g pot. The After Eight Dessert Pots are available from Asda, Sainsbury's, Tesco and Morrisons for RRP £1.19 for two pack and RRP £1.98 for a four pack. I also received a tub of Food Thoughts Cocoa. 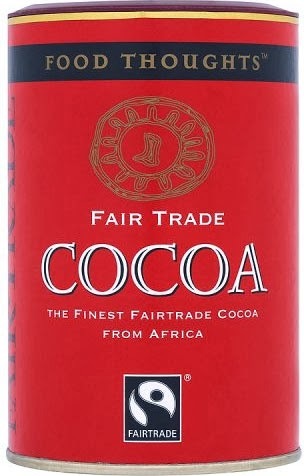 Food Thoughts Cocoa has a lovely rich, smooth taste and is perfect for baking. 1. Heat the oven to 350F, 180C, Gas 4. Place your cupcake cases in a muffin tin. 2. 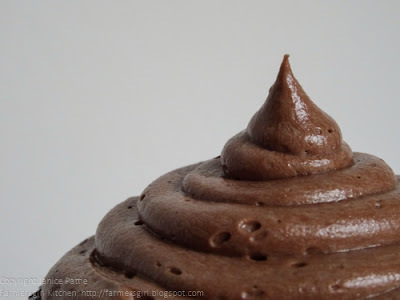 Mix the cocoa powder with the hot water to form a paste. Set aside to cool. 3. Once cool add all the other cake ingredients except the After Eight Dessert to the bowl and mix with an electric mixer or a wooden spoon until combined. 4. Fold in the pot of After Eight Dessert. 5. Fill the muffin cases 2/3 full and bake for about 15 minutes until risen and will spring back when gently pressed with your finger. 6. Leave to cool on a rack. 1. 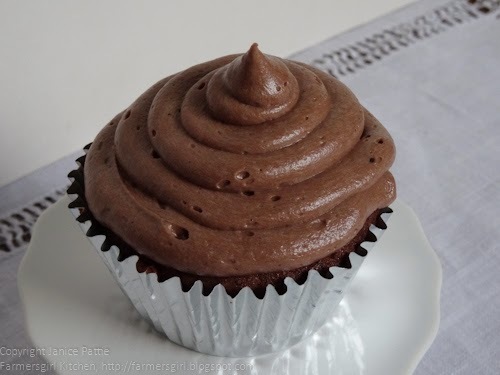 When the cakes are cold, cut a small plug out of the centre of each bun, don't go right to the bottom of the cake or the filling will run through. Place the plugs to one side. 3. Cut your 'plugs' of cake into 1cm sections and place on top of the dessert. 1. Place the cocoa in a bowl with the hot water, as before, and make a paste, leave to cool. 2. Beat together the butter and the cocoa powder paste. 3. Sieve in the icing sugar and the remaining After Eight Dessert. 4. Fill the icing into a piping bag fitted with a plain nozzle and pipe from the outside to the inside to create a soft swirl. Chill in the fridge and serve cold for an extra icy mint flavour. I took some of these cupcakes into my work and they were very popular, one colleague suggested I should take up making cupcakes for a living! Many thanks to After Eight for supplying me with the After Eight Desserts to review and to Food Thoughts Cocoa for supplying the cocoa powder. I was not paid to write these reviews or required to give a positive opinion, my views are my own. Great idea Janice - love chocolate minty things! Love chocolate and mint and yes I think you will be a very successful cupcake baker :) Definitely give some bakeries a run for their money! These look fabulous, so sophisticated. I wonder if the recipe would work with chocolate Philly as well. These look great Janice. What a great way to use those puds up. Chocolate and mint is one of my favourite combinations. They look gorgeous Janice and sound very tasty too - I too am a chocolate and mint fan. 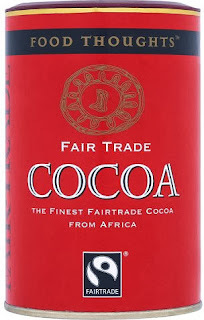 Really rate the Food for Thought cocoa - nice to get a tub. Thank you, glad you liked them, we certainly did! That sounds really great. 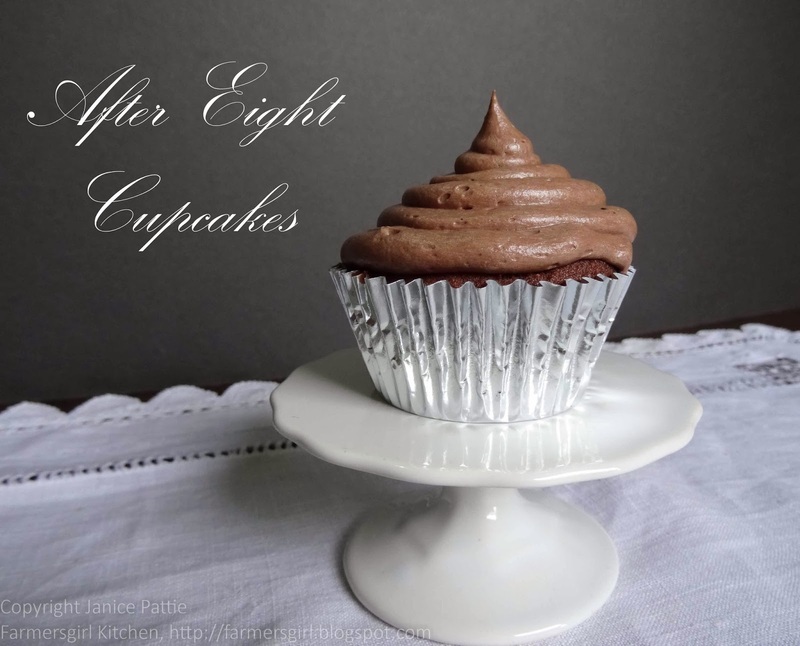 I would love to taste some after eight desserts and these cupcakes, too. Sadly, nobody will be making them for me.